But what, in the event of a Hayes settlement, would prevent any other investor from doing the same? If they settle with Hayes, they will probably have to apply that settlement to all other non-Vivendi shareholders for exactly that reason. Bobby Kotick and his back room dealing, he loves playing fast and loose with the legalities of his job, the rest of us love it when it turns round and bites him on the backside. You'd think after Infinitywardammerung he'd have learned to make sure everything was absolutely legal and untouchable before he made some gigantic sweeping power play. This abstract is inept. 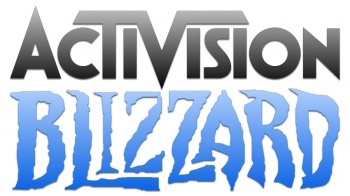 The halting of the transaction is given as "a move that would have given Activision independence from parent company Vivendi". What you meant was "Halting a move that would have given Activision independence from parent company Vivendi, the Delaware Chancery Court [...]". This is either going to resolve its self fast or be really really messy. huh ... I though this worked it self out and I just missed the resolution. *shrugs* Oh well, part of me hopes nether of these guys walk away in great shape, but if I have to take sides, I hope ActiBliz can break free and leave Vivendi twisting in the wind. Not too sure, mostly because I am not familiar with the European laws on this. Vivendi shareholders -for the most part- are none too happy with the deal. While it would provide much-needed cash for the company, ATVI represents one of Viviendi's only profitable investments, and on the Paris exchange, which is still troubled by the euro-zone economy, this seemed like a short-term move for a long-term loss. Vivendi has been trying to sell off its cell phone infrastructure investments, and even some politicians in Belgium and other countries have seemed interested in buying them off and nationalizing the service. In short, there are still a few other options open to Vivendi to bring in cash. And it may be that a European investor may object to the sale of the ATVI stock, as well. Bobby Kotick and his back room dealing, he loves playing fast and loose with the legalities of his job, the rest of us love it when it turns round and bites him on the backside. You'd think after Infinityward Dammerung he'd have learned to make sure everything was absolutely legal and untouchable before he made some gigantic sweeping power play. Its only a preliminary injunction, not a ruling on whether its legal or not. The court has prevented the deal going through until a full hearing on the case. All that has been said is that there might be case and thats it. This is an attempt by Hayes to chisel money out of proportion to his shareholding. Hayes is saying if you want this deal done quickly, pay me money. Even if Hayes loses the case that could be years away. The argument is going to run along the lines of the deal will preserve cash surplus in the business which is in the best interest of the company as opposed to a dividend payment which is best for the shareholders. Good. I hope this leaves Kotick and Activision Blizzard flapping in the wind for some time while they continue shooting themselves in the foot with bad design decisions with Blizzard titles. Kotick and Activision Blizzard brought this on themselves. They wanted to play underhanded, they got halted till a full on investigation takes place. And while they cannot buy themselves out, they still are hemorrhaging massive amounts of player losses. I think the WoW Q3 and Q4 results will dictate just what is in store for Blizzard. I don't think they are going to recover from their bad decisions and shady dealings. The argument is going to run along the lines of the deal will preserve cash surplus in the business which is in the best interest of the company as opposed to a dividend payment which is best for the shareholders. I think the sticking point isn't so much the buyout happening who gets money out of it, or doesn't. Kotick and co are paying a discounted rate and the other shareholders aren't seeing a penny from the deal. So Kotick gets control of the company for less than it's worth and the other various shareholders seemingly have to sit on their hands and do as they're told. They have to hope that whatever CEO for life Bobby does improves stock prices for when they sell, because that's the only way they'll get any money. Activision has never paid a dividend under Kotick and once it's loaded up with debt from the buyout it likely won't pay a dividend at all, if I were a shareholder in Activision I would be asking exactly what the worth of my investment is meant to be if gives me neither a say nor a return. I expect what Hayes is angling for is a cash payout to go with the sale, whether that's buying out his shares or some other kind of lump sum who knows. Or he's after an increase in his relative stake, maybe by issuing more discounted shares to existing holders so Kotick's stake becomes relatively smaller. I don't think he truly wants it stopped and the old 'Plan A' carried through, the cash dividend route only truly benefits Vivendi, especially if it ends up running Activision's value into the floor. The plan is just a management buyout which is common enough and is perfectly legal. The other shareholders would not see a penny from any deal which involves Vivendi selling their stake. Vivendi are entitled to sell their stake at whatever price they see fit. Kotick is selling shares bought from Vivendi by the investment group to the current management that he runs. The result will the investment group owning 24.9% of the company, far from a controlling interest. This case is just throwing a spanner in the works because Vivendi is $17 billion in debt and needs the money quickly.